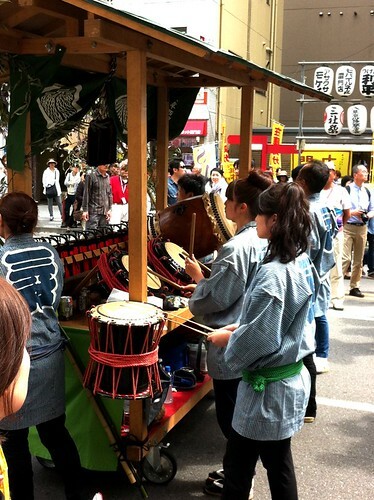 May and June are festival time in Japan, with lots of events going on every weekend, and unfortunately I don’t have the time or the ability to duplicate myself to go everywhere I want. 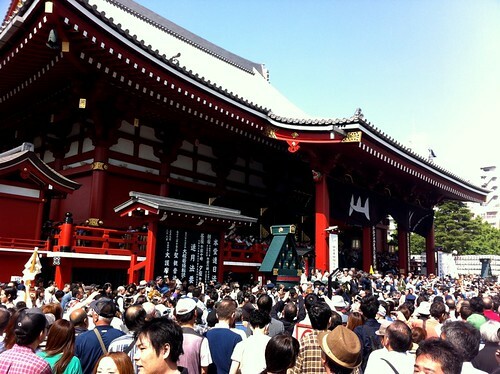 Today, sanja matsuri, one of the biggest and oldest in Tokyo, in Senso-ji, Asakusa. I was there last year but I missed the opening. I’ve been at the opening this year, but I missed the rest… Next year I hope to see it during night time, it’s the only thing left for me to see of this festival. The number of this festival is the 3. 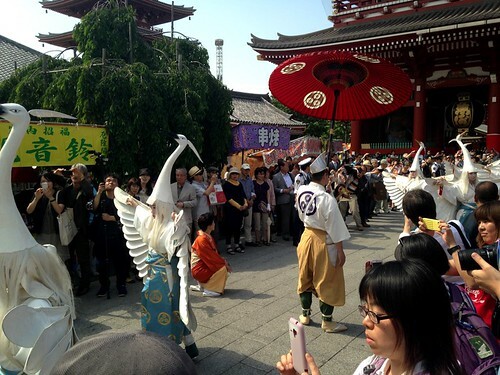 Held on the 3rd weekend of may, representing 3 shrines, and Senso-ji was founded by 3 men (Hinokuma Hamanari, Hinokuma Takenari and Hajino Nakatomo) and the festival is to honour them. 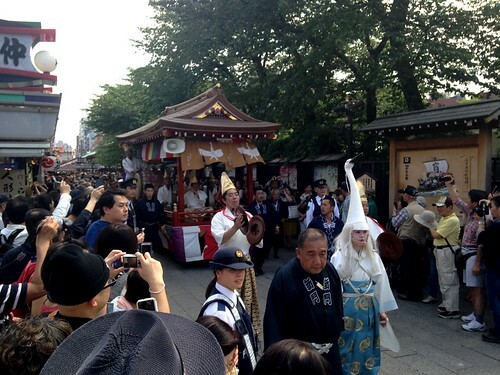 During the 3 days that the festival lasts, you can enjoy the atmosphere, the parades, dance and traditional music. 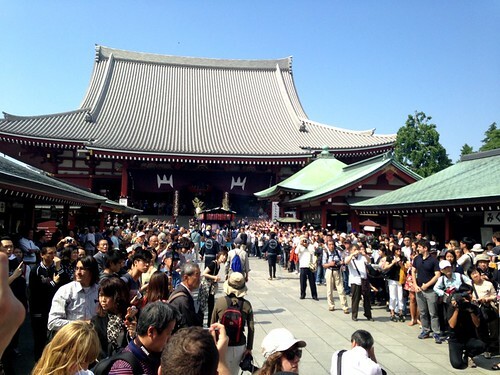 Sensoji shrine during Sanja Matsuri, Tokyo. 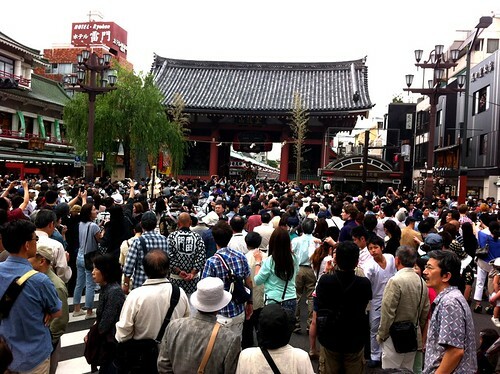 Asakusa streets during Sanja Matsuri, Tokyo. 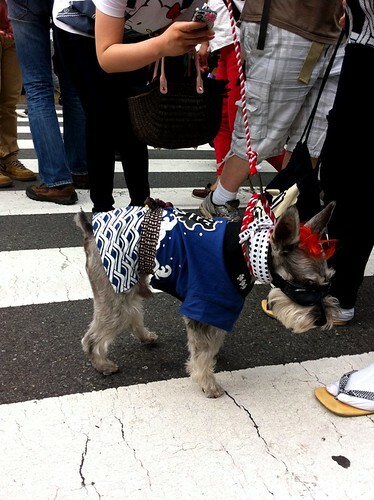 Mascots are ready for the festival as well, Tokyo. 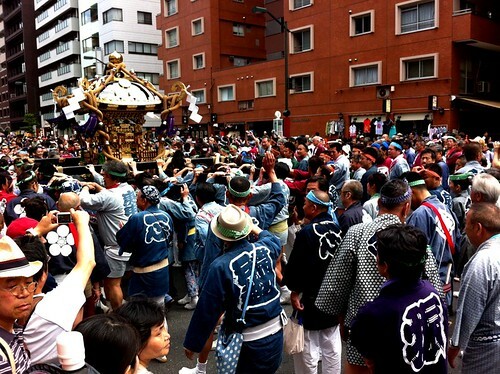 Kaminarimon during Sanja Matsuri, Tokyo. Sensoji during Sanja Matsuri, Tokyo. 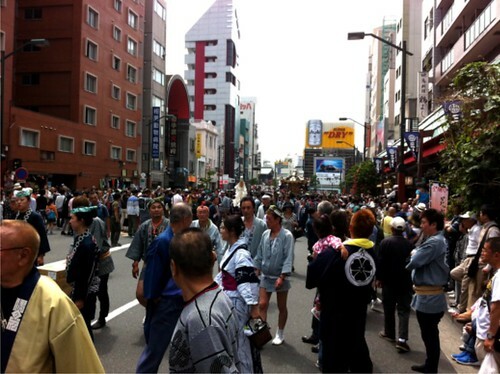 Street parade during Sanja Matsuri, Tokyo. 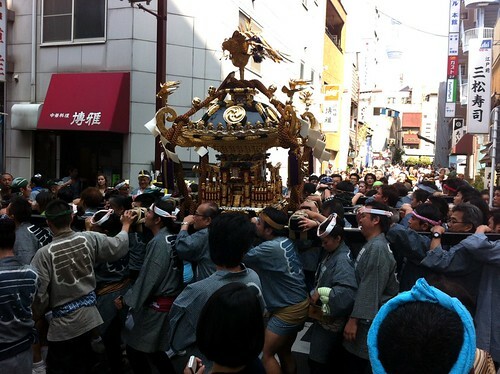 Mikoshi, the portable shrines heading to Sensoji, Tokyo. 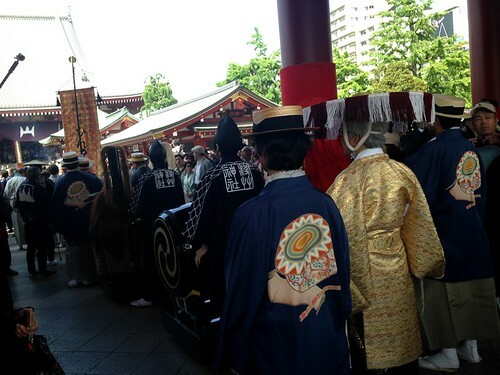 Mikoshi, portable shrines heading to Sensoji, Tokyo. 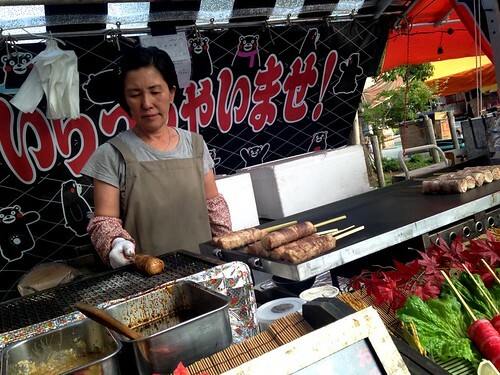 Food stands are a must during festivals in Japan. 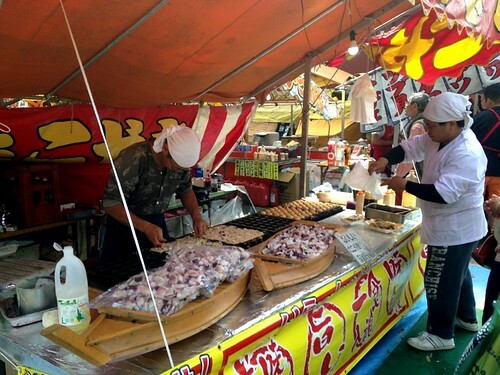 If you have the chance, don’t miss at least one of this large festivals. Now that summer is here there is plenty of festivals around, hopefull I’ll have time to go to some of them. 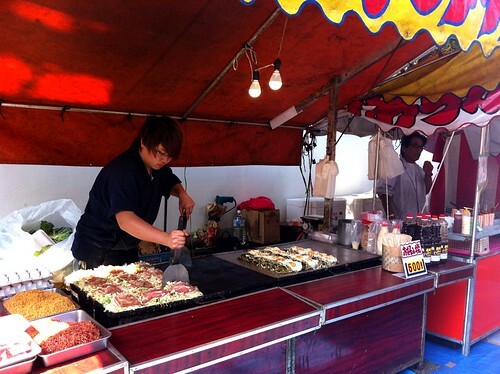 Rice cake and meat bruschetta food stand, Asakusa.